The trip over here was actually a little more dramatic than I had hoped for. I don’t mean the plane crashed into the sea and I had to swim to shore kind of dramatic, just more incidents of a frustrating variety. 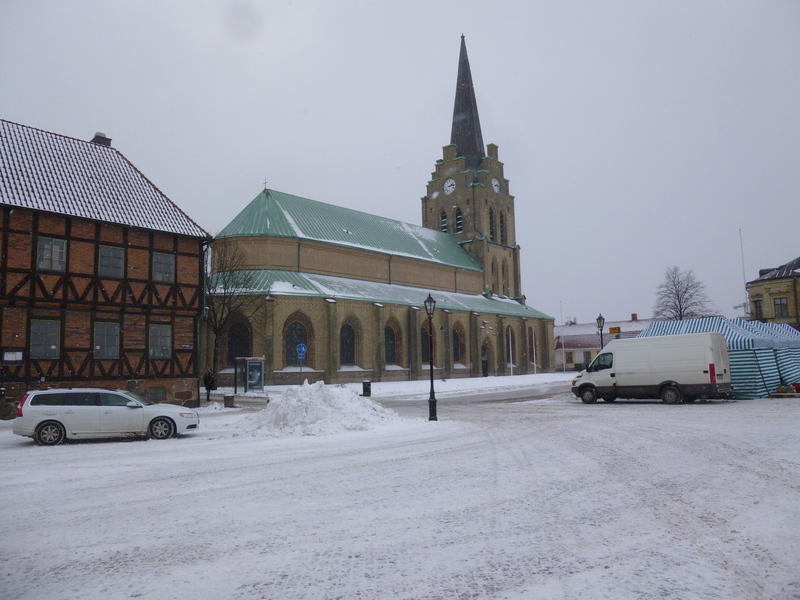 The trip was 4 flights in total – from Sydney, Australia to Melbourne, Australia, then on to Dubai, then to London, and lastly to Gothenburg in Sweden where I would then be picked up and driven a couple of hours south to Halmstad, my new home. Each stopover at each airport was approximately 2 hours long, so it felt like it should have been a smooth process and relatively short with a total flying time (including stopovers) of about 32 hours if my memory serves me correct. Of course, this didn’t go to plan. Sydney to Melbourne was fine, but Melbourne decided it was feeling pretty hot that day, and so we all melted while it reached the low to mid 40s in temperature (Celsius – in Fahrenheit we’re talking the realms of about 105-115). As my departure time came and went and there was no sign of us getting on the plane, they finally informed us that the plane was too hot to board (I’d later find out it was 38 degrees Celsius inside the plane), and they were trying to cool it down – they would only be half an hour late. I didn’t panic. Half an hour was fine. 2 hours later we boarded the plane, but were told to hurry because they had brought the temperature down to 28 but had to turn off the air conditioning while we boarded so it would rise again. Then once on board, they informed us they had serious problems with the electrics of the plane. Another hour or so went by, and they very nearly cancelled the flight before bringing back power at the last moment (they literally turned it off and on again and it worked…I chuckled to myself about this later, not so much at the time). Then two people decided to leave, even though the pilot assured us we wouldn’t have left unless the plane was 100% safe. There was much booing aimed at the people who left (even though I think they were snuck out before the announcement). 4 hours late, we finally left. I missed my connection in London to Sweden and I knew it, and the next one was going to be 8 hours later, but the wonderful staff at Heathrow airport helped me reschedule to a Copenhagen flight (as Halmstad is a similar distance from Copenhagen in Denmark – about 2 hours at the most). Eventually, not too much later than I should have been originally, I was reunited with Linnéa, the very person who I have moved over to Sweden for in the first place! 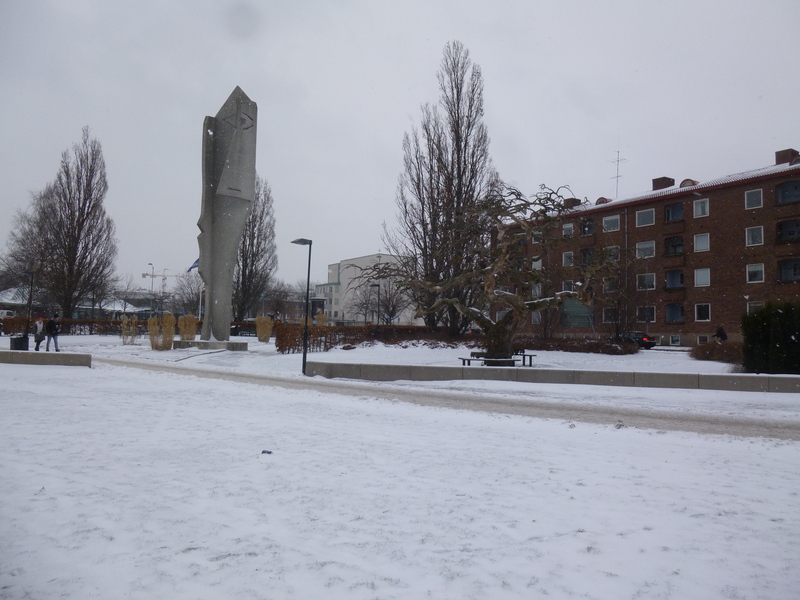 As I landed in Copenhagen I was excited to see snow – I hadn’t seen falling snow with my own eyes for over 16 years. Linnéa laughed at me, telling me that wasn’t real snow, but for an Australian it was amazing all the same (we do have some snow in Australia, in a place cleverly called the Snowy Mountains). 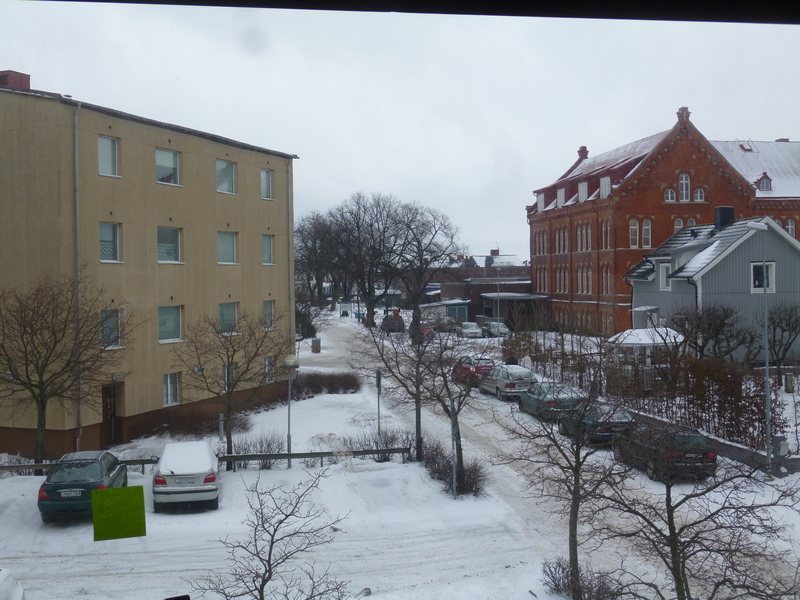 By the time we reached Halmstad though, I could see what it really looked like to have decent snow. I slept a good sleep that night, and amazingly was over my jet lag almost instantly upon awaking (which is kind of strange but I could hardly complain). 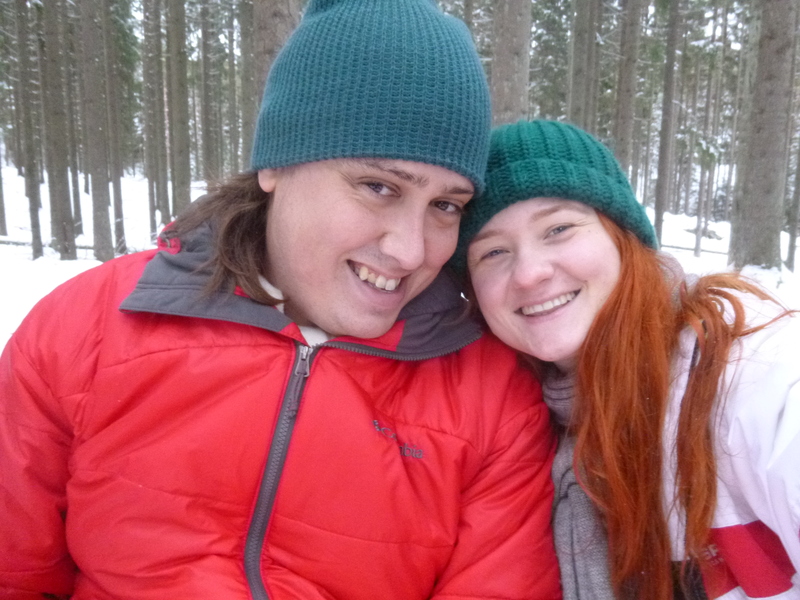 I ventured out into the forest that next day to have a barbeque in the snow with Linnéa and her family, which I showed you guys photos of here in this post, so I won’t mention too much more on that. 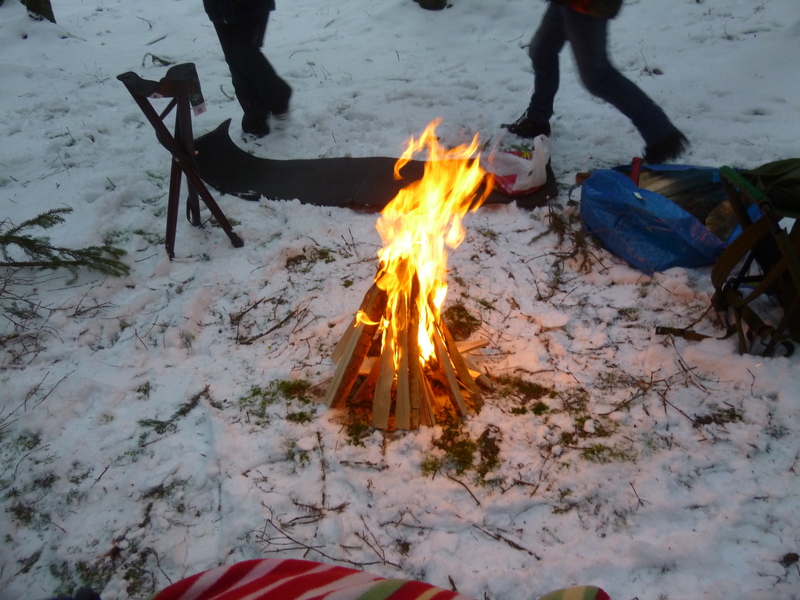 The next day was fairly relaxed, although I did learn quite how slippery the ice could be when I fell whilst out walking the dogs – I fell backwards onto my right elbow and smacked my head hard against a rock. I spent the next few hours with an enormous headache, feeling slightly dizzy and disoriented but I knew I was okay. My elbow, however, still hurts over 2 weeks later, which is a lesson in itself for me. 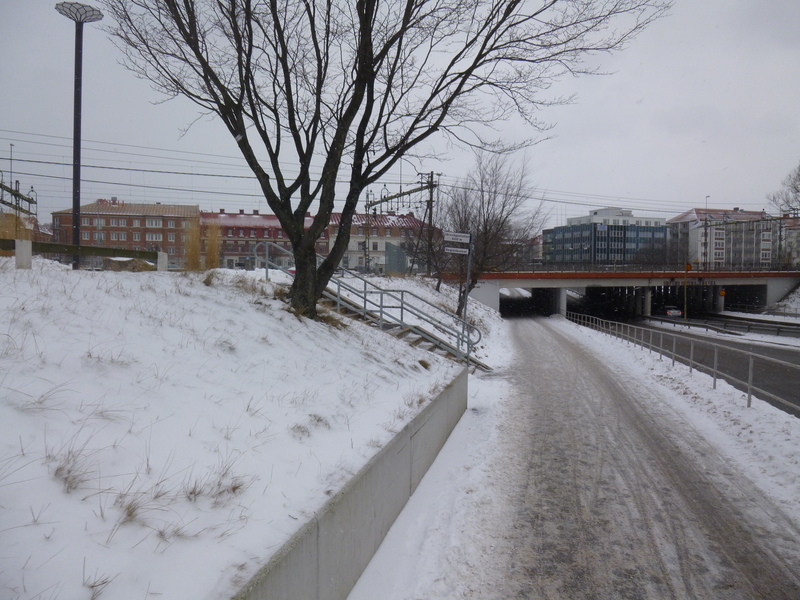 I am slowly becoming more confident walking on the snow and the ice, but it’s a skill which Swedish people are born with and which Australians simply do not possess most of the time, I suspect. It didn’t snow much for that first week I was here, but the second week it snowed every couple of days. 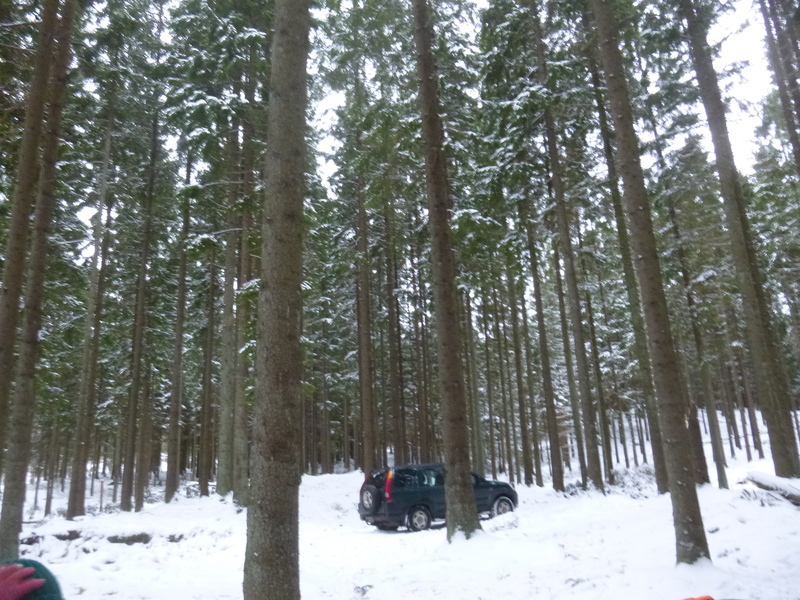 The first couple of times it was just a few centimetres, but then last Friday I finally saw what I think I can call proper snow – about 10cm, maybe more, fell in the space of a couple of hours. I sat in my apartment watching the roads slowly turn white again, watching the ground rise higher and higher with the snow. I sort of just sat here stunned as I watched it for a lot of that afternoon, not really doing much else. It made me wonder what it must feel like for those kids who grow up in remote and dry parts of the world when they see rain for the first time at the age of, say, 10. Yep, that’s the river. Actually this is the day before the big snow so it was whiter the next day. Anyway, by the end of this, everything was white. 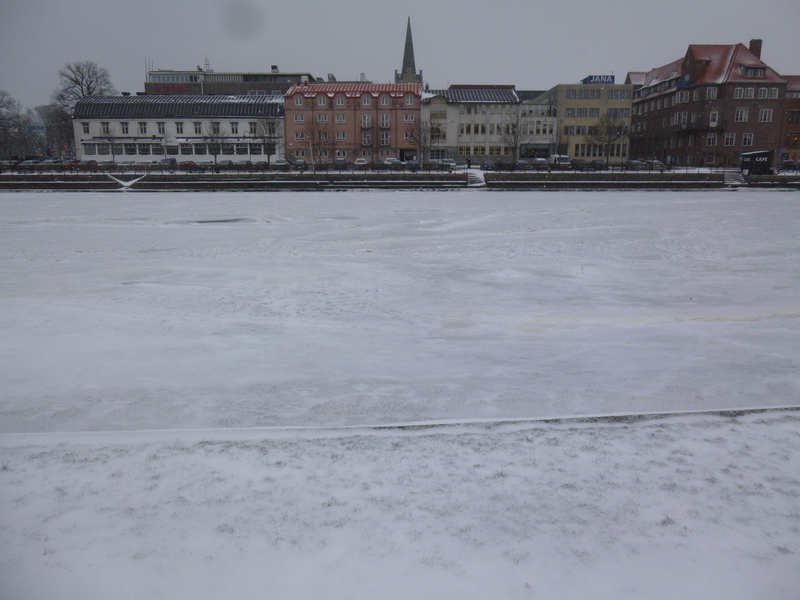 The frozen river had become so white it looked more like an extension of the park next to it. So it was a bit sad when on the weekend it began to rain, and then warm up to 2 or 3 degrees each day for several days in a row. Looking out now it looks like spring – bright blue skies again. 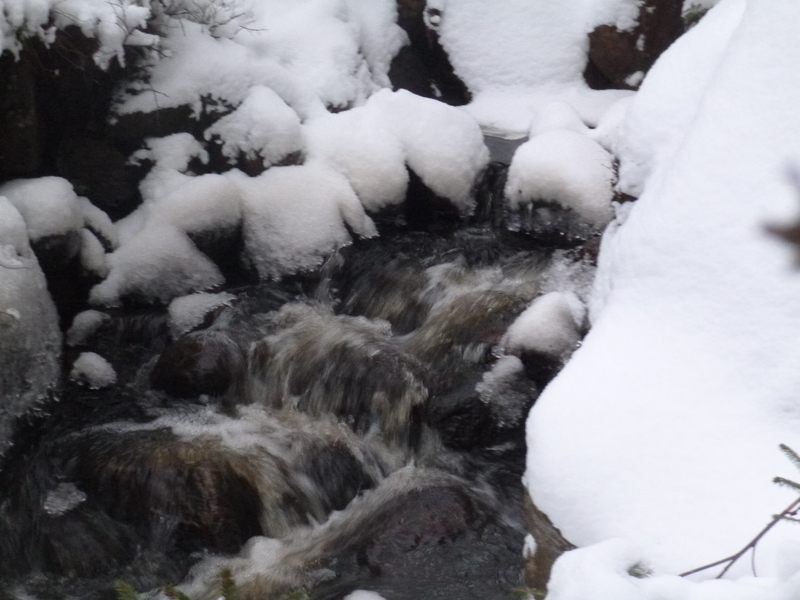 Beautiful, but the snow is mostly gone and each night what’s left refreezes and leaves sheets of ice in places I don’t see so I nearly go flying every time I walk at night. 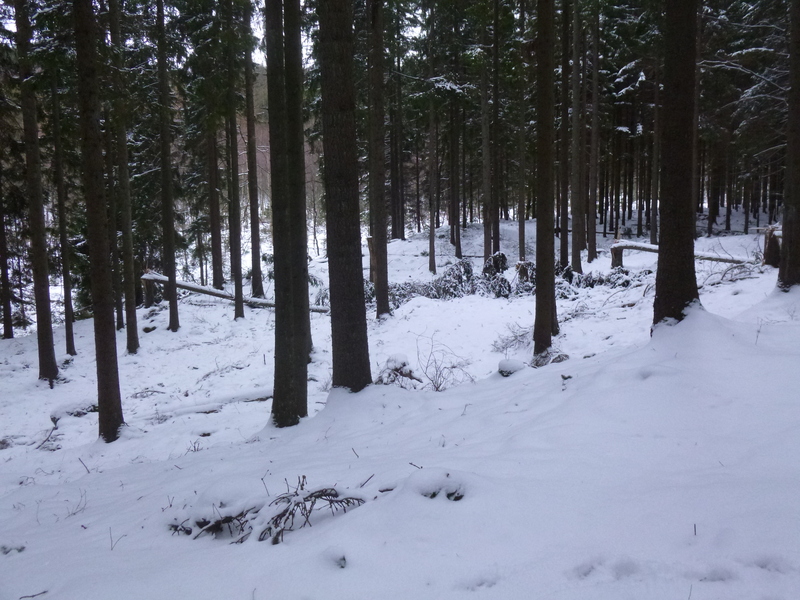 But even if this were all the snow we got this winter I’d be happy with what I’d seen! The past 2 and a half weeks haven’t just been sitting around watching snow fall, I promise. The obvious thing that has been taking up a lot of my hours is spending time with Linnéa, and she has been amazing in helping me settle in. We’ve spent a lot of time with her family and also meeting her friends – I have never entertained so many people in such a short space of time, but it is nice to be cooking so much again. We’ve also spent a lot of time exploring town, eating out at places I can’t really afford – we even went to the movies last weekend (to watch The Hobbit – I was stunned they were still showing the second movie). It’s just nice to be with Linnéa after spending 2 years doing the long distance relationship thing (and 16000 kms is serious long distance). Aside from all this leisurely stuff, I have had some issues with more bureaucratic matters. In Sweden everything, and I mean everything, uses your personnummer – basically your personal identity number. Swedes are born with this, of course. For me though, I have to go through a long process to get this key to society. I have obtained a sort of temporary version of this number which gives me access to some, but only a few, things. Now I need to get a job, so that I can get a bank account and process my Right of Residence (thank goodness I am a British citizen as well as Aussie, and therefore an EU citizen, or else this would have been a lot harder), and then once I’ve done all of that they’ll give me a personnummer and I will be a proper resident of Sweden, with access to everything. Of course, without knowing the language getting a job isn’t super easy either, so while I apply for the few jobs I can try my hand at, I now need to learn the language and quickly so as to broaden my work possibilities. I’m not overly worried (yet), and money isn’t too much of an issue (yet), but it would be nice to have a lot of this stuff done and taken care of so I can relax more. I am second hand renting (where you rent from another renter – it’s a thing in Sweden) from someone who has moved to Stockholm for work for a while, so I have a nice little apartment that’s all furnished and is only a few minutes walk from the centre of town, across the road from the train and bus stations, and close to two different supermarkets. So my living arrangements almost seem too good to be true, which is nice, and the person I’m renting from is friendly and relaxed which is a nice bonus. This was really quite tasty, although eating the berries with the meat seemed a bit wrong. Photo taken from cannolisblogg.se because I forgot to take a photo of the meal at the time I ate it. Lastly, there’s the food. People are asking me if I’ve eaten much Swedish food. 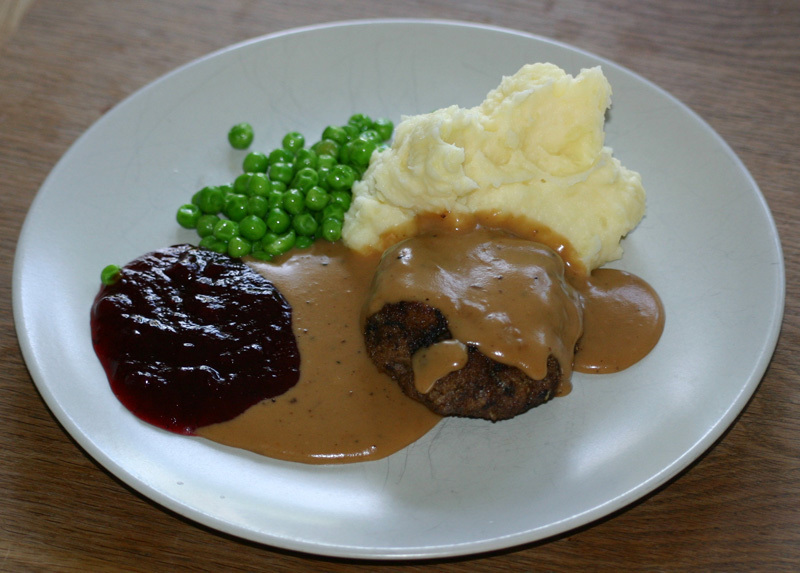 I have eaten lots of nice breads and chocolates and so on and so forth, but the only “traditional” Swedish meal I’ve eaten is called wallenbergare, and is a sort of veal patty (like a burger patty I guess) with peas, mashed potato and…berries? There’s a side of lingonberries, a type of berry that is very common across Scandinavia and very sweet and tasty, and the idea is that you eat the berries with the meat, in the same mouthful. I tried it and it was surprisingly nice, but my tastebuds were wondering what on earth was going on. But aside from this, I am yet to try a lot of traditional cuisine from the area. No doubt in the future I’ll devote a whole post to the topic. Anyway, that’s it for now. This post is more than long enough, but hopefully it gives you some ideas as to what I have actually been doing these past couple of weeks. I will do more of these posts in the future, but I will also start to write posts focusing on specific aspects of life over here, like the culture, the food, the history, and my mishaps with the language as I start to learn it. Feel free to ask any questions or comment as always! I have some more pictures to share with you all. These are taken today from a trip into town mostly for the sake of snapping up some more photos, and like all trips they begin from home so I have included a few photos from my apartment to begin. As always I’ll write little captions about each photo as we go. Enjoy! 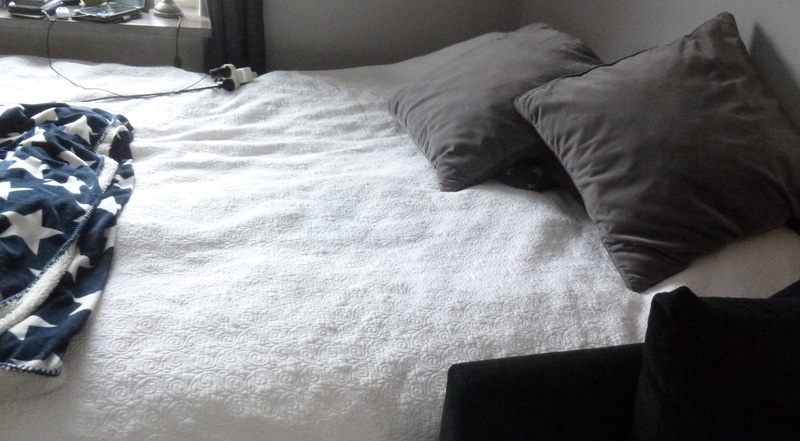 This is my nice big comfy bed. It’s hard to get out of many mornings, I must say. 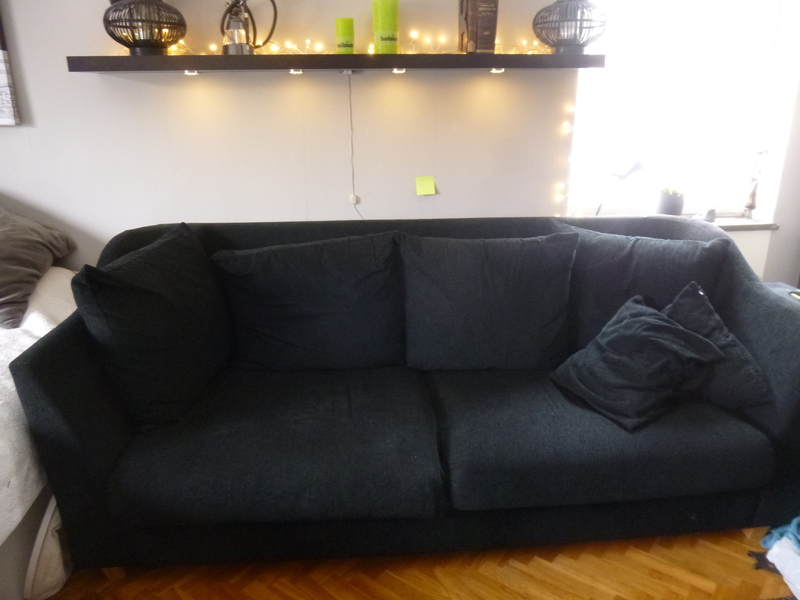 Seriously, this couch can fit 4 people on it comfortably. It’s enormous. 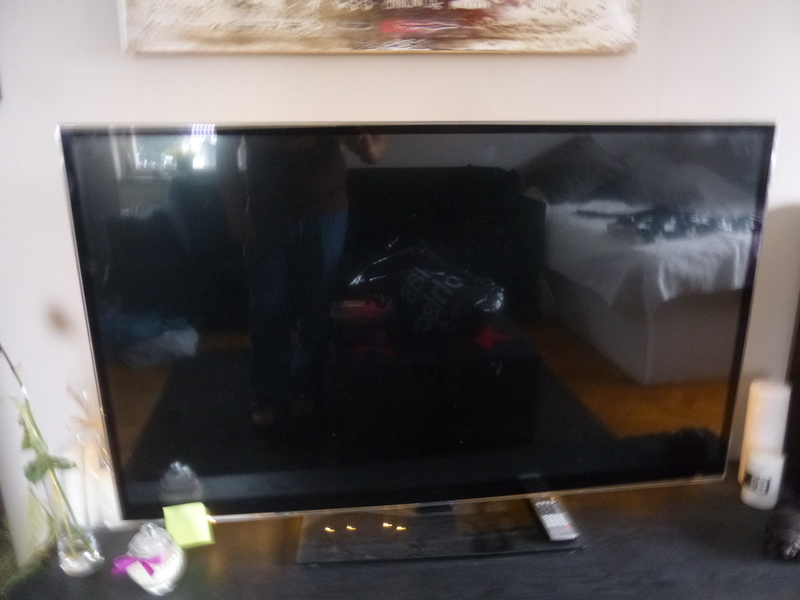 The TV isn’t much smaller than the couch, really. I was stunned at the size of it. I mean, it’s not mine, but for the time being I can’t complain! 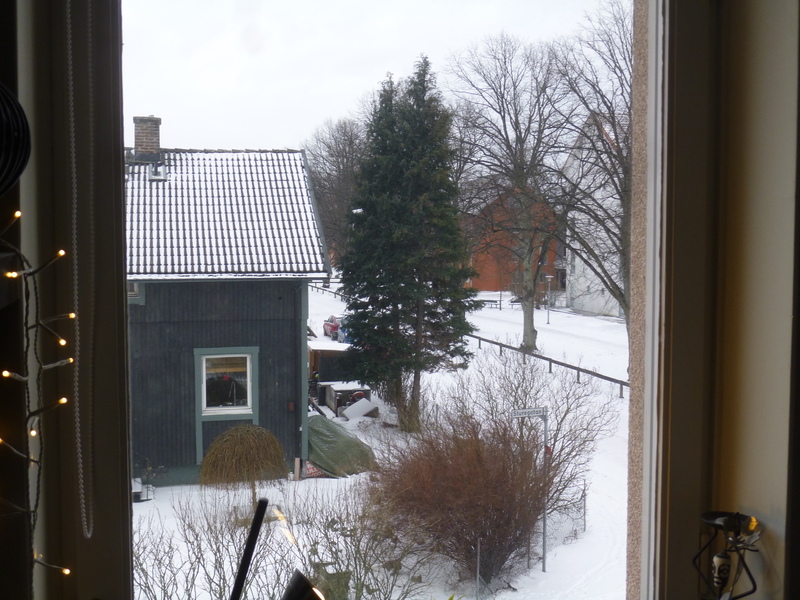 This is the view from my kitchen window. You can kind of see the snow falling if you look closely. 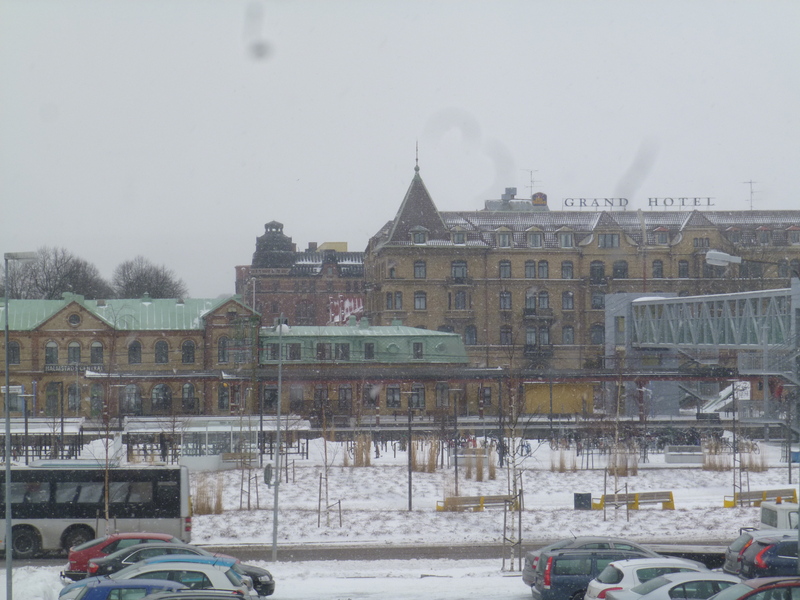 This is the train station and a huge hotel. The view from my bed side. On the walk to town. 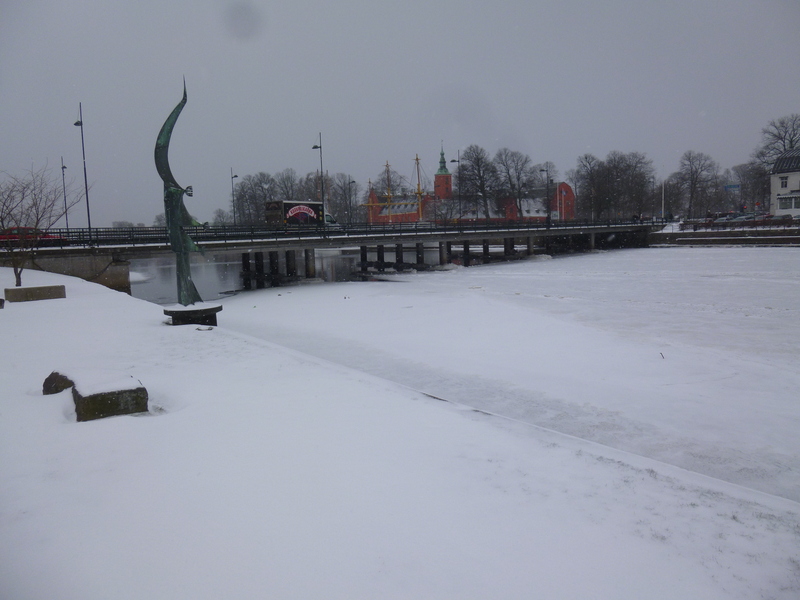 It’s quite picturesque with all the snow covering everything. Not so picturesque is the snow mud covering the roads and some of the more main pathways. 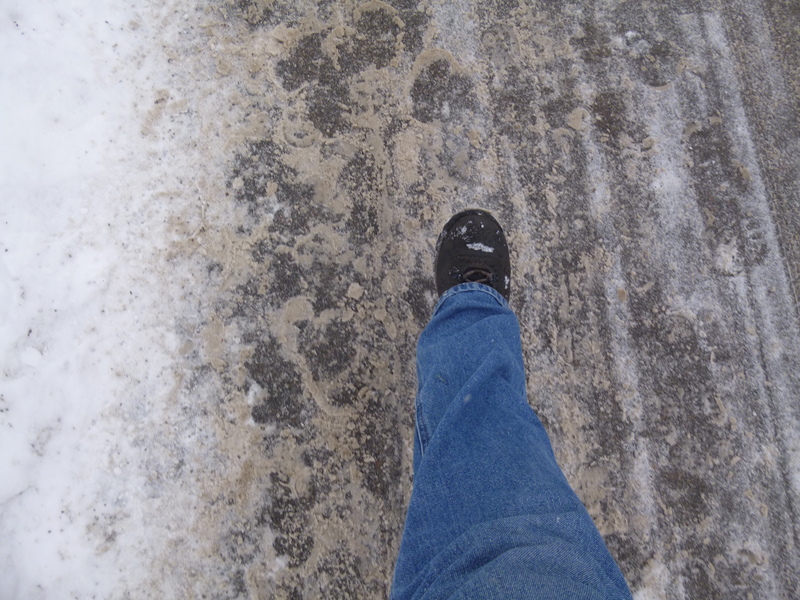 But it makes it easier to walk (and less likely for me to go flying on the ice, like the clumsy clutz I am). 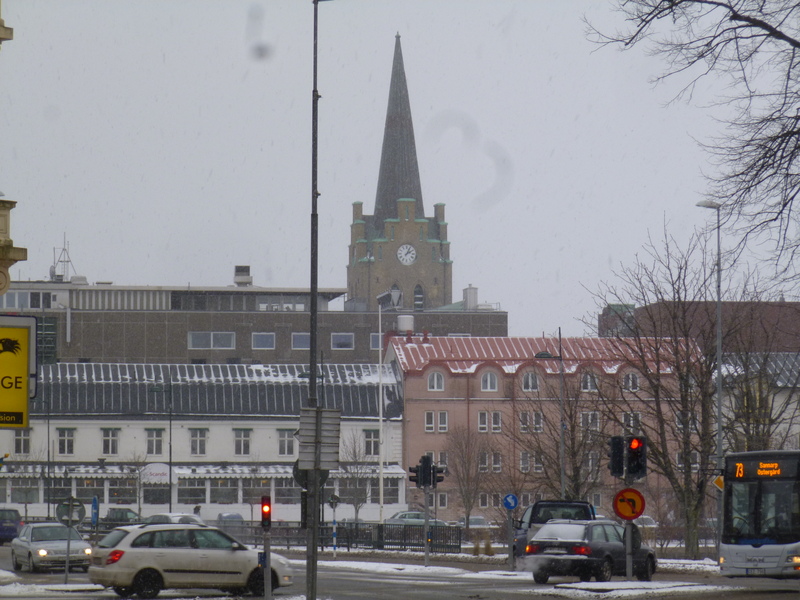 As I approach town I can see the church looming in the background. It’s quite an awesome sight. 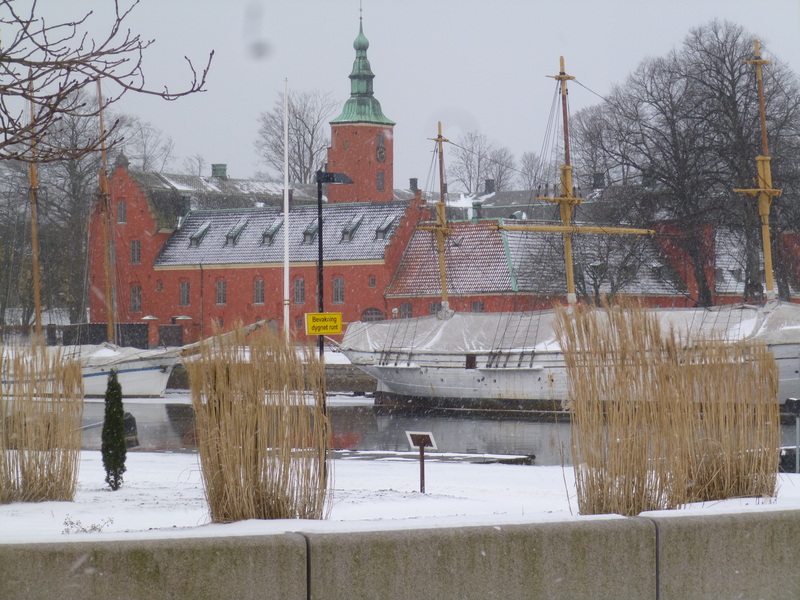 Halmstad Castle. It’s small but hey, a castle’s a castle. Picasso Park. If you’re wondering why it’s called that, you probably haven’t noticed that statue yet. The River Nissan. It’s frozen overnight (it’s been slowly freezing up for days) and then covered in fresh snow, so I at first didn’t even noticed it. Such an amazing sight. Under the bridge you can see the river still unfrozen. The river one last time, from another bridge looking across. 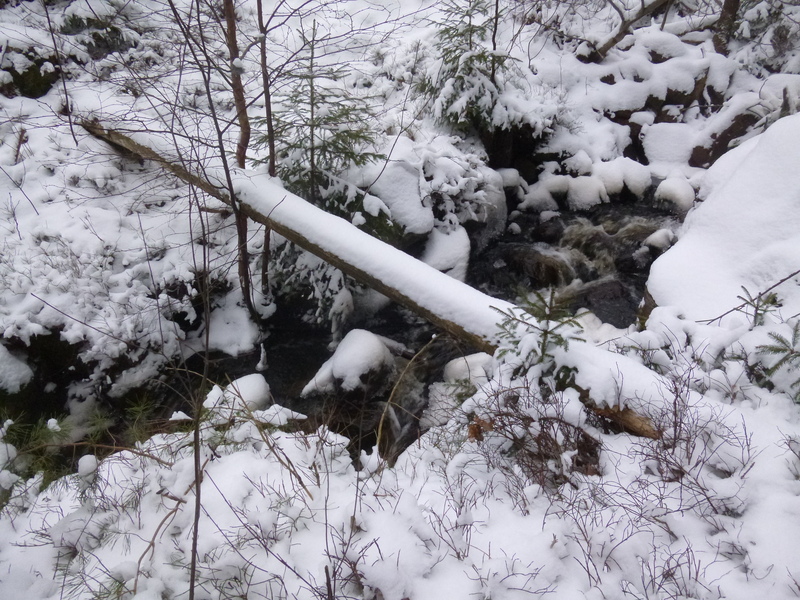 It seems to be only completely frozen between these two bridges. The library. I love this building and will spend a lot more time here I think. 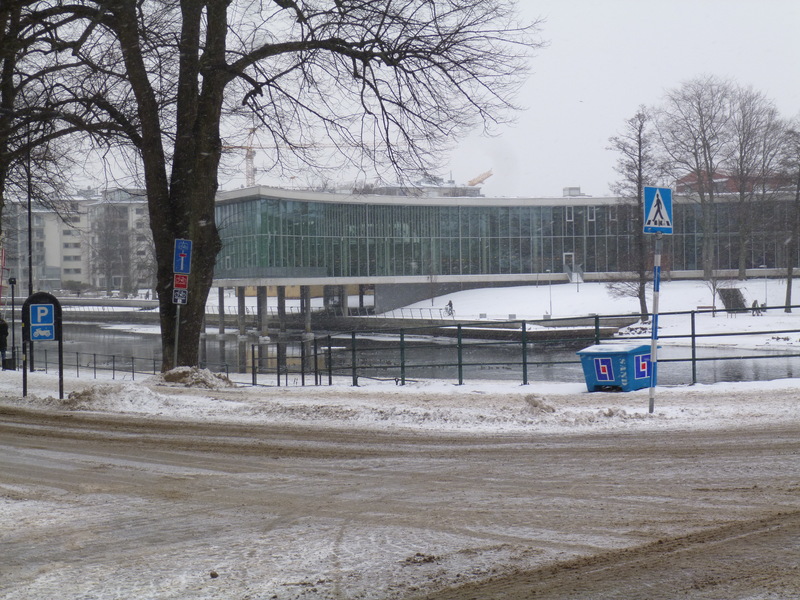 This is what libraries should be like – amazing buildings on the outside, with great views from the inside. 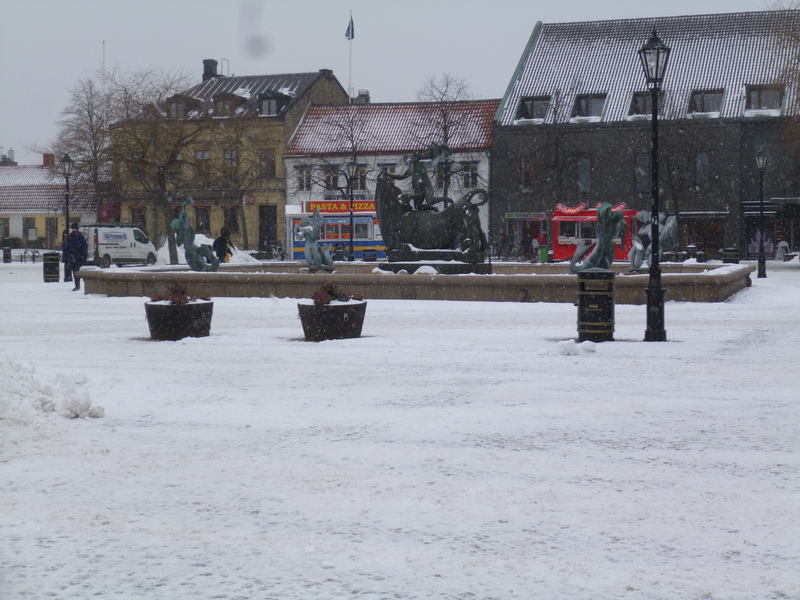 The centre of town, all covered in ice and mostly abandoned by people during the weekdays at the moment. It’s busier on weekends, but nothing like the summer. The church up a bit closer. A great little building. The bell clock rings out from here too. 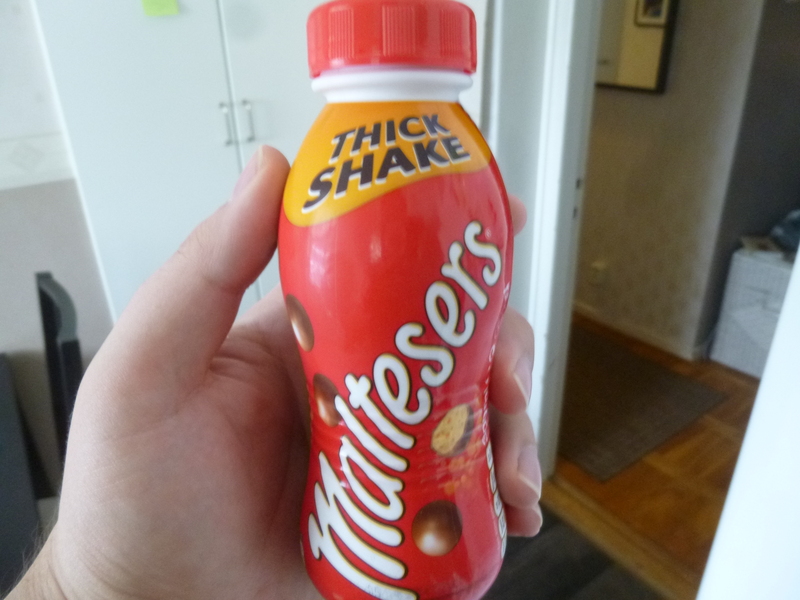 Last but not least THEY SELL MALTESERS FLAVOURED THICK SHAKES HERE!!! I mean I’m sure half the world has this, but we didn’t back in Australia. This tasted amazing. That’s all the photos for now. 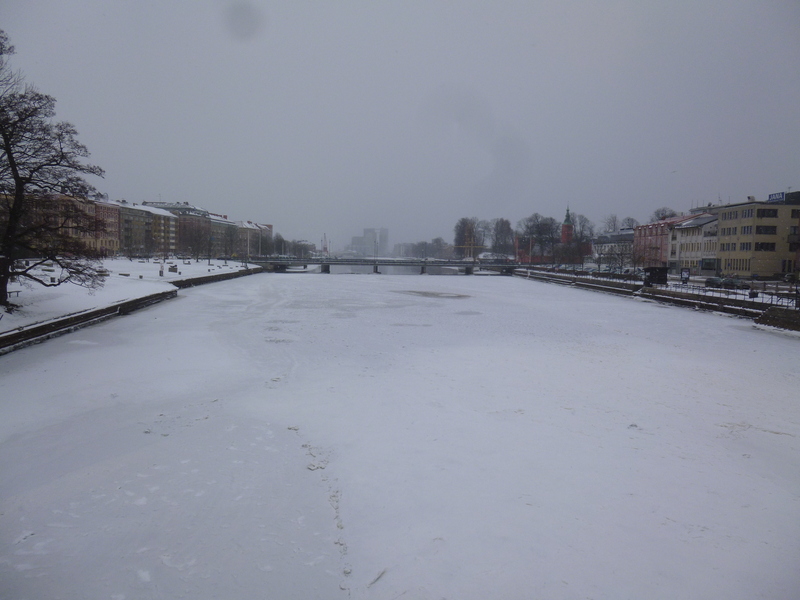 More Sweden updates to come, and I will try to get back to book reviews soon as well. Also, soon you shall get to hear my misadventures with the Swedish language – that’ll be fun! Keep reading, keep writing, keep warm my friends!